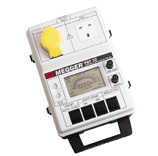 • The SmartPAT 3500 performs all of the safety tests required for Class I and Class II appliances. It can be connected to an external serial printer (Robin model SP 1000) via an integral RS 232 Communication Port for automatic downloading and printing of test data. 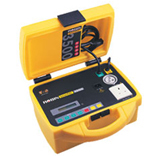 • The SmartPAT 3500 is capable of performing Earth Bond, Insulation and Fuse Continuity Tests. 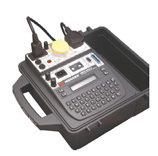 The SmartPAT 3500 has been built to meet the requirements of the IEC publication 1010, Safety Requirements for Electronic Measuring Apparatus. • Tests 230V and 110V appliances. • 100mA Business Equipment Test. • Quick ‘one’ touch operation.